Full credit to the Chicago Police Department for releasing the truth on Jussie Smollett before the Cook County judge was able to close the case, citing a FOIA request. Where on earth did the State Attorney’s office think justice was served when they believed Smollett was guilty but dropped all 16 felony charges anyway? How could anyone buy the First Assistant SA saying publicly that Smollett was not exonerated when his slate has been wiped clean? How ironic that Michelle Obama’s former chief-of-staff called the State Attorney Kim Foxx to discuss the concern of the Smollett family. Foxx may have recused herself on conflict of interest grounds, however the end result certainly gives rise to suspicions around calling in favours. How did a botched hoax become deserved of a suppression order? If you want the truth behind the innocent Smollett, the CPD has provided their hard work in the following two files. One of the funniest areas surrounds the Nigerians’ car breaking down after the purchase of the DIY hate crime kit and having to push it out of the parking lot. 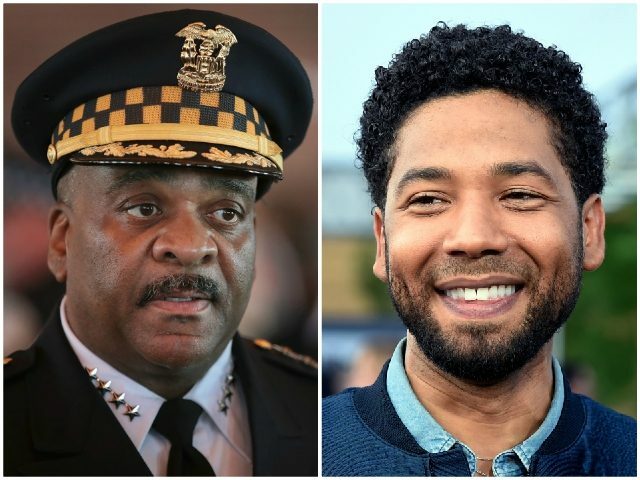 Maybe Subway should dedicate some sandwiches to Smollett – Foot long Pinocchio, Jussie’s Jerk Chicken, Carved Turkey and Bleach…#Mugger hat meatball. How well do these sandwiches have to be prepared to escape a staged attack unscathed?